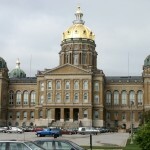 Thursday morning (that’s tomorrow) at 8:30 there will be rally at the Iowa State Capitol West Lawn.Â Lots of information at letusvoteiowa.org .Â Please go there and read the information on parking, purpose, etc. You can continue to keep pressure on the Iowa House by calling the following Members who are still undecided as to how they will vote on the Iowa Marriage Amendment.Â Urge them to vote yes on the procedural vote.Â Remind them that the procedural vote is a vote on the Iowa Marriage Amendment. Also, check out this post from Shane Vander Hart .